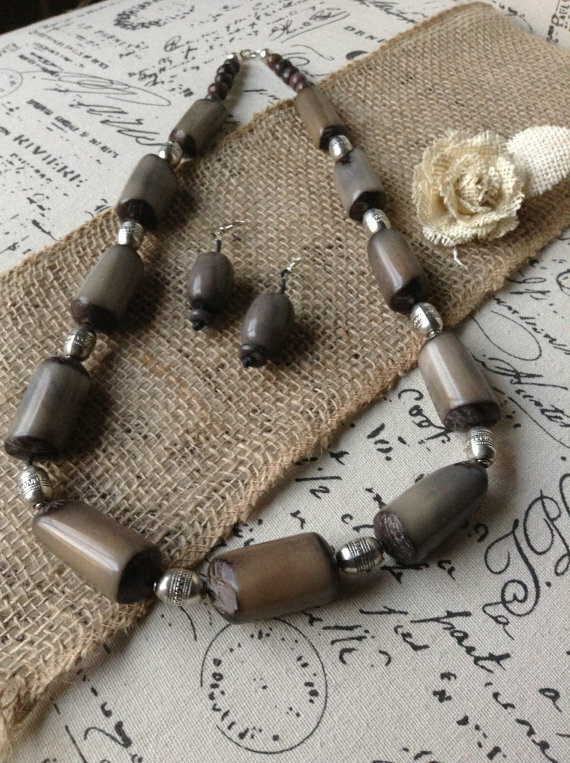 This one of a kind Eco friendly jewelry set, is made of Tagua nut from Ecuador, as well as Acai seeds and small decorative metal pieces. 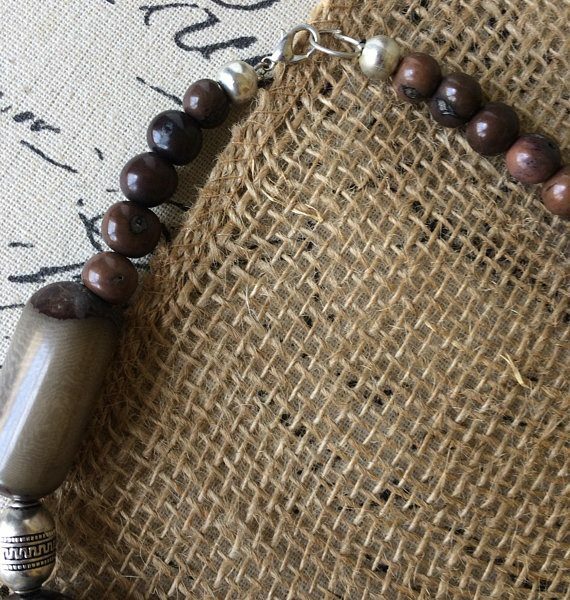 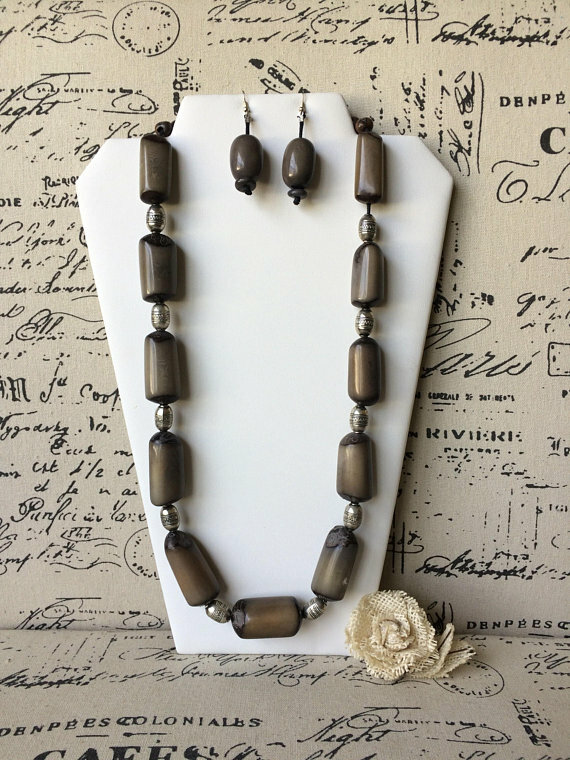 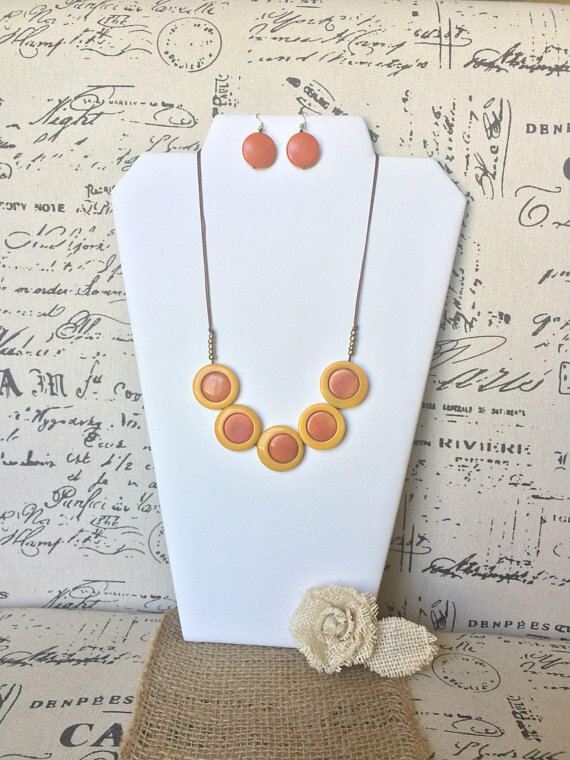 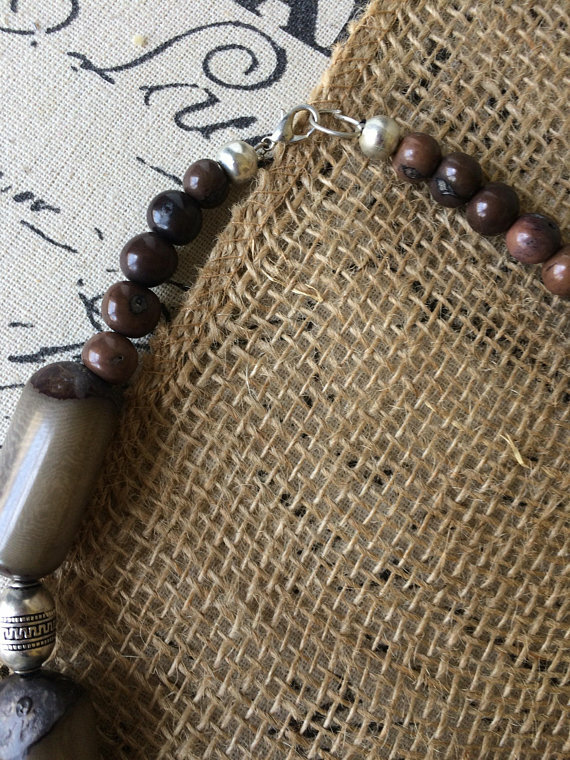 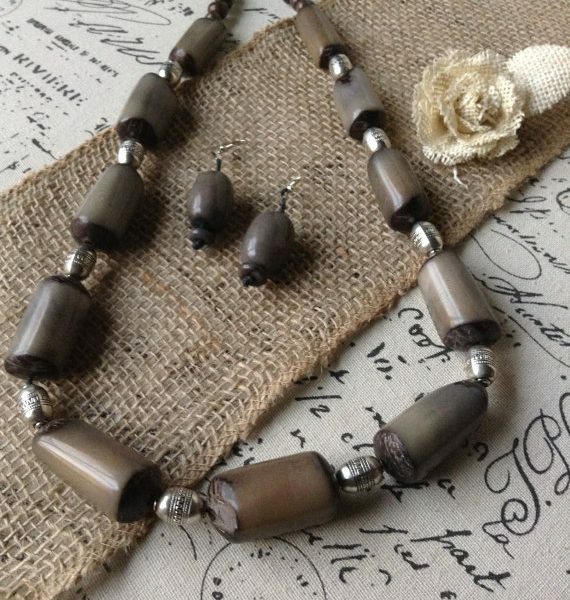 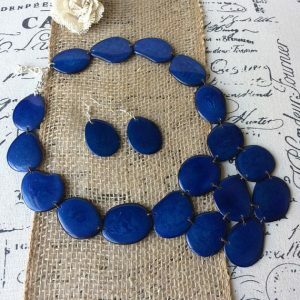 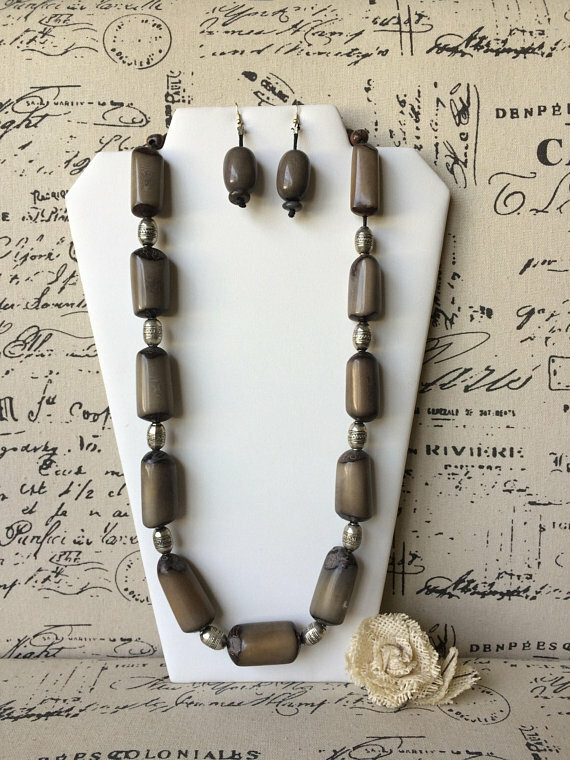 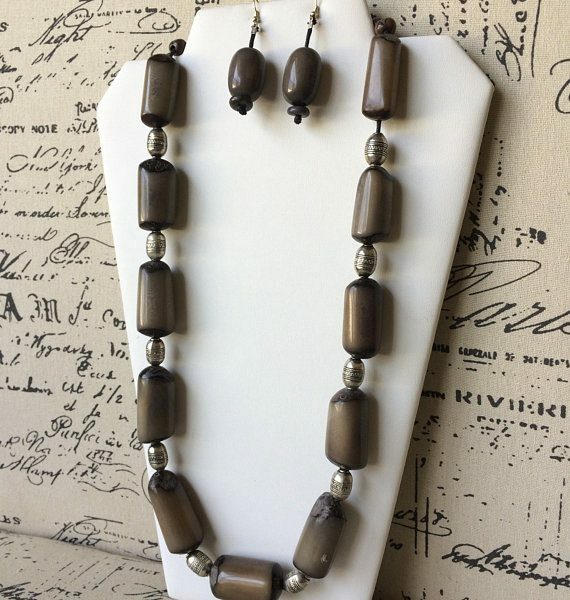 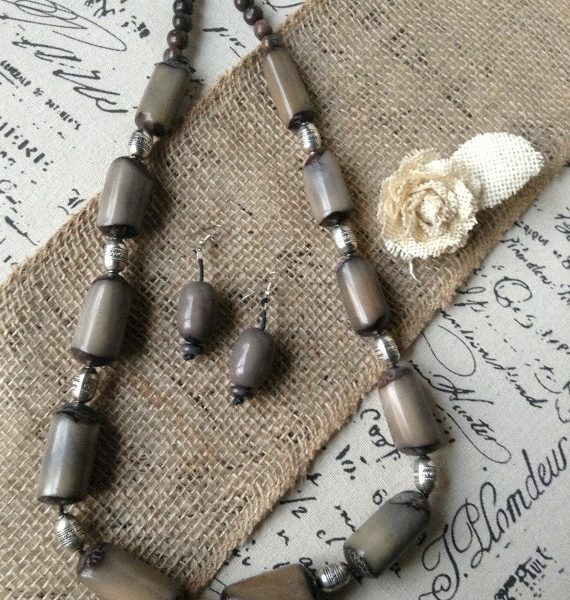 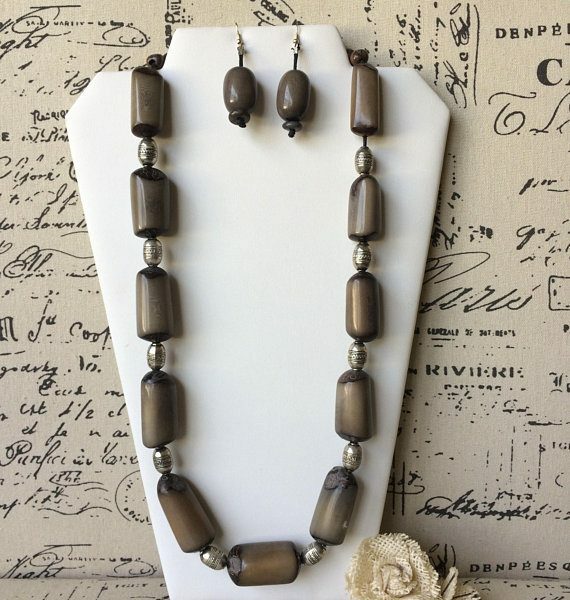 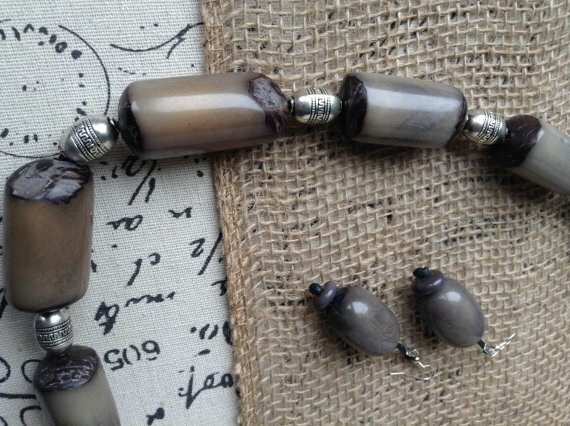 It has been manually carved and cut into thick chunky slices leaving some of the Tagua skin on to give this set a one of a kind rustic style. 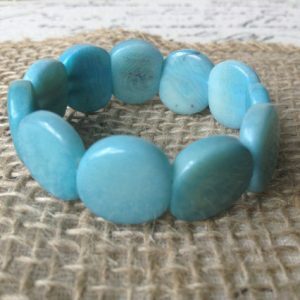 It is a great choice for a gift for any ocassion. 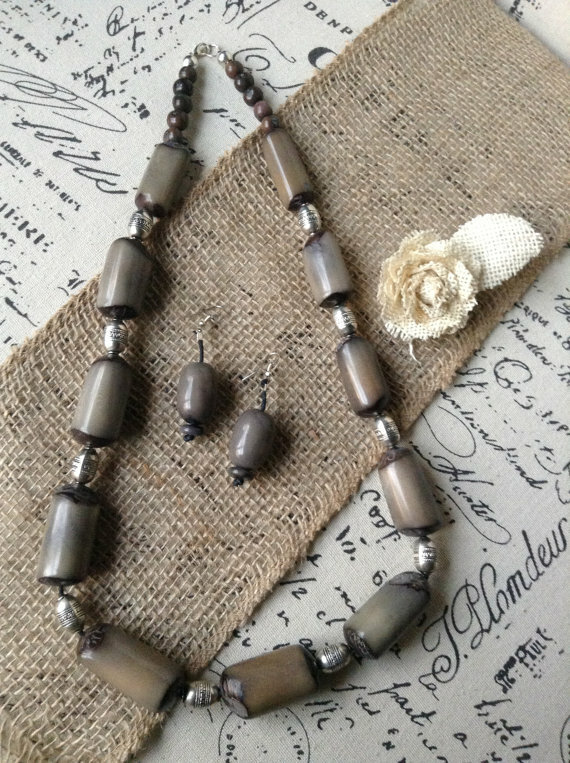 This set is versatile and will add elegance to any outfit, the necklace closes with a clasp, and it’s 15 inches long. 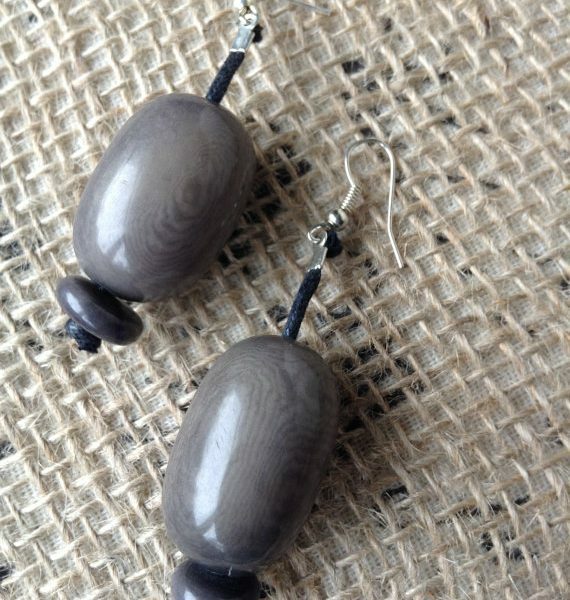 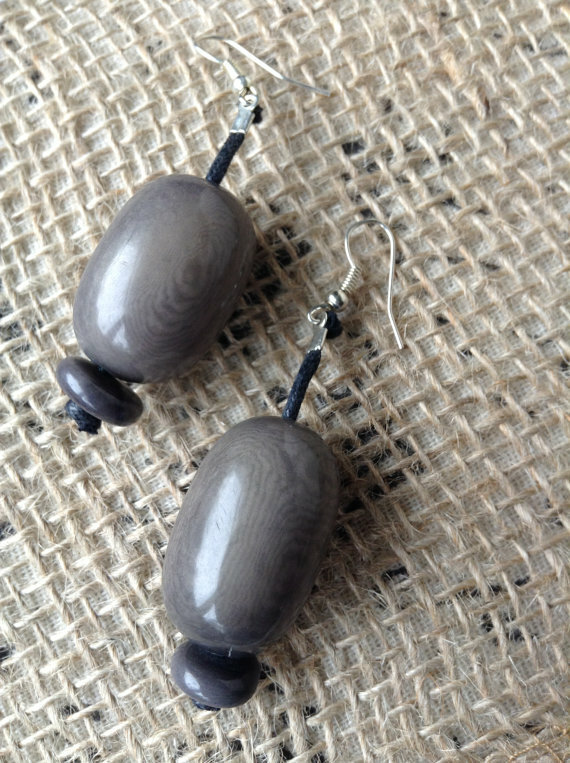 Dangle earrings are made of thick Tagua slices and an acai bead and are about 5 inches long from the tip of the hanger. 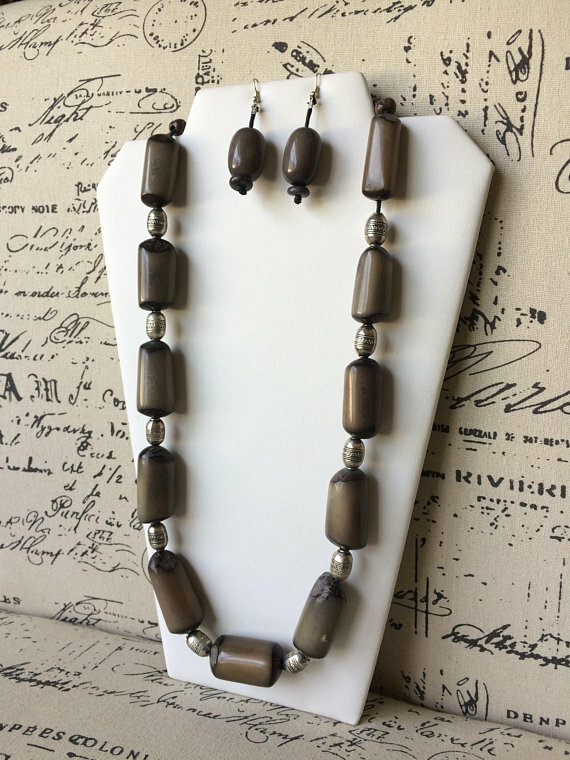 The Necklace has thick Tagua Beads, they all have been sewn together and held by a waxed cotton cord.